I continue to find the Japanese economy fascinating. Despite the continuing numerical stagnation of the Japanese economy, Japanese people seem to be leading happy and prosperous lives regardless. From the blog Jesse's Café Américain comes a personal account of an American living and working in Japan that I thought was interesting. The unnamed correspondent notes many of the same things I did when I was in Japan. Food and housing is actually pretty cheap by American urban standards, granting the much smaller space that Japanese people are content with. Things that go unsaid are the conditions on the ground that sparked some of the improvements cited. Cell phones, and then internet telephony found fertile ground in Japan because NTT charged an absurd amount to connect a phone to your home. Also, it is much easier to put up cell towers and install fiber optics lines in a small, high-density country. 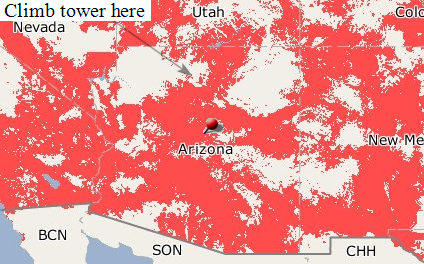 If you want cell service near the North Rim of the Grand Canyon, you need to either climb a fire tower or find a point that faces south across the Canyon, because you cannot get line of sight to a populated area from ground level. There simply aren't any uninhabited areas that big in Japan. Ditto for trains. There is also a different kind of school/housing situation in Japan. There are certainly tonier places to live, and fancy expensive schools, but you don't see the kind of housing bidding wars sparked by competition for favored school districts. One of the things I notice when I go to the US is that there is almost always only high fructose corn syrup colored water to drink. In Japan, there is almost none of that. 90% of what is on the shelf, even in a convenience store, is 100% fruit and vegetable juice for about 100 yen a carton/bottle... in other words, the same price as a coke. I think at least some of the health problems in the US are due to simple things like that. I can definitely contradict that with my own experience. I thought Japanese stores had the most astounding variety of sugary concoctions, constantly changing as fashions did. The single biggest drink category I saw was forms of iced tea, although this is because I was there in August. I remember being surprised at the salaries my peers made in Japan, but in retrospect this makes sense. If prices in the US were the same as they were 15 or 20 years ago, I could easily get by on less. This serves as an interesting experiment in the effect of an aging, shrinking population on macroeconomics.